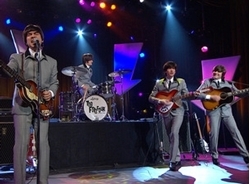 The Fab Four transports audiences back to the 1960s with Beatles tribute . Beatles Radio: The Beatles, Solos, Covers, Birthdays, News The Fab 4 and More! Paul, John, Ringo and George may have disbanded the Beatles nearly a half century ago, but the magic and memories evoked by their music linger on. And it will definitely be resonating in a big way on Sept. 8 at the Newberry Opera House when The Fab Four takes stage to transport the audience back to the 1960s with Beatles favorites and taste of what it might have been like to watch the Beatles live during their heyday.